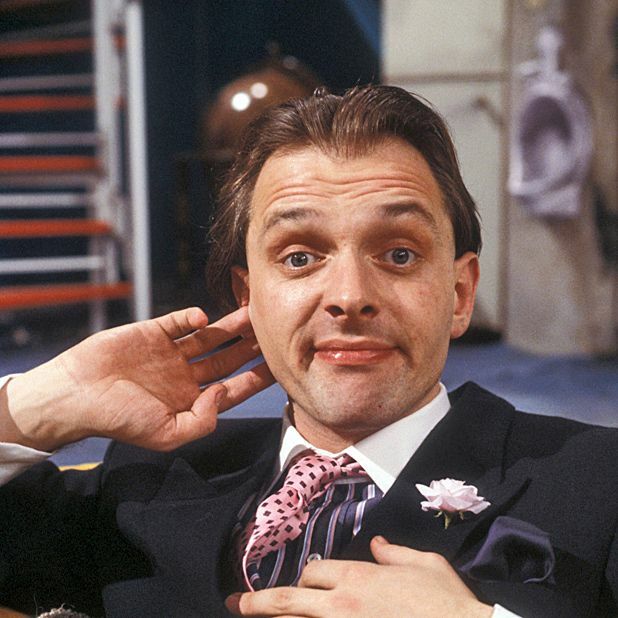 ‘I’m sorry, but did I just detect an effort at humour brilliantly disguised as offensive, mindless drivel?’ Within three minutes of Filthy, Rich & Catflap’s opening episode in 1987, Rik Mayall expressed the standard which was set for the duration of his working career alongside Adrian Edmondson from the Dangerous Brothers to Guest House Paradiso. If their epoch-defining cultish hit The Young Ones proved that there could be more to the British sitcom than some less than crazy doings of the landed gentry, dodgy landlords and weak politicians, its follow-up showed that sometimes crude old-fashioned daftness could still hit the spot. Subtlety was a complete stranger to the Ben Elton-scripted affair, which played perfectly to the puerile strengths of Mayall (as the permanently unemployed luvvie, Richie Rich), Adrian Edmondson (his constantly beered-up minder, Eddie Catflap) and Nigel Planer (the droll agent and sometime pornographer). Within seven minutes, the series’ first brutal slaying had taken place with Arthur Smith’s milkman bludgeoned to death after being falsely accused of working undercover as a tabloid journalist. The final episode featured a public execution going awry. Now 25 years on, it seems fairly unlikely that a brand new generation will be turned on to such immature anarchy, but for those who can’t get enough of endless cartoon violence and a stream of knob gags, and whose VHS-recorded episodes of Filthy, Rich & Catflap have long since been lost or destroyed, this will be a nostalgic blast of wayward genius.